This information booklet, or parts thereof, may not be reproduced in any form without permission from the publisher. Our love of cats of all shapes and sizes is what drives us to research, test and provide products that increase animal health, happiness and overall well-being. 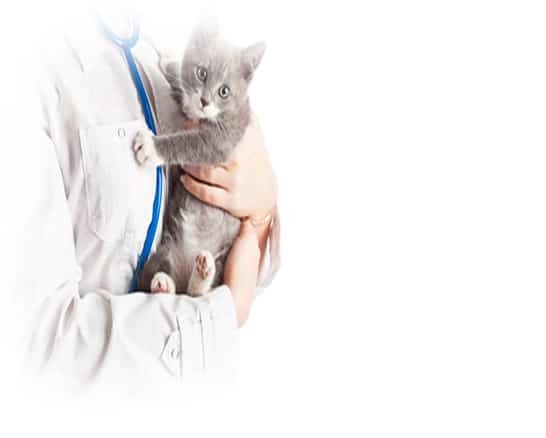 ProVetLogic is proud to be a leader in the research and development of products and protocols that are designed specifically for the care of cats in the home, hospital, shelter and zoo environments. In this volume we look at some of the basics in cat care from techniques for handling cats, to the illnesses and toxins that have the greatest impact on their wellbeing, to cleaning ideas and safety procedures. The information presented herein is based on data considered to be accurate. However, no warranty or representation, express or implied, is made as to the accuracy or completeness of the forgoing data and safety information. In addition, no responsibility can be assumed by ProVetLogic LLC for any damage or injury resulting from abnormal use, from any failure to adhere to recommended practices, or from any hazards inherent in the nature of the information. Stay calm and be confident – Your stress will create stress in the cat. 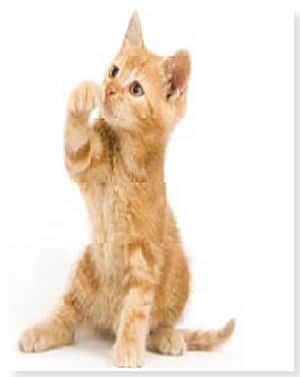 NEVER put yourself in harms way – Cat scratches and bites can be very serious, so let the cat go if you are at risk. If you are in a proper veterinary environment then they should be kept in an area where there is no possibility of escape or hiding. Always have control – Have the cat facing away from you and keep your hands on or near their scruff. Even the nicest cat will act out if they feel intimidated or scared. Talk softly – Keep loud noises to a minimum. Again, a stressful environment will make any cat react negatively. Know the difference between an aggressive cat and a scared cat. Like humans, all cats have different personalities – Don’t go into every encounter with a cat as if they will be aggressive. Knowing the proper way to handle a cat will create a deeper understanding of what signs to look for when working with each patient. Have the proper tools – Sometimes the only way to handle an aggressive cat is with a net or towel. NEVER use gloves, as they terrify the cat and give you a minimal amount of control. As care providers of five indoor and an ever growing number of outdoor cats, we know that every cat is blessed with his or her own distinctive personality. As people begin to understand and embrace these unique and individual personalities, cat adoptions and popularity will continue to grow nationwide. Feline personalities have in common three basic traits. The kind of personality a cat has depends on her level of alertness and curiosity, how sociable and easy to get along with she is, and how equable or stable her mood. Felines have remarkably different personalities, all of them fascinating to cat care providers. 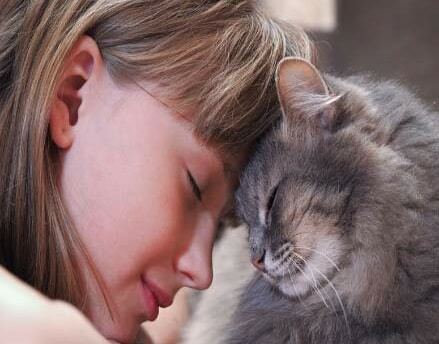 Many cats have affectionate personalities. Some cats are more independent, while others need to be in constant contact. Felines with a loving nature usually have a gentle disposition, love their people and get along well with other cats and dogs. Their open, outgoing personalities make them a joy to be around. Then there’s the “love mooch.” Ideally suited to someone who wants lots of interaction with their cat. There is no place this “people” cat would rather be than in your lap, on your bed or draped across your desk staring at you with affection. Endearing and sweet, the “love mooch” is kind of like a dog that purrs; a perfect cat for those seeking a loyal and ever-present companion. In addition to being affectionate and sociable, some cats are exceptionally vocal. They love to communicate with their people and welcome you home with a meow. Chatty cats seem to enjoy the sound of their own voice, sometimes speaking in full sentences. The melody of their voice charms and captivates their owners and amuses everyone who hears them. Many love to chime in if you’re singing or playing a musical instrument. If meows are music to your ears, the chatty cat makes a wonderful companion. With a “look at me” attitude and showoff antics, the “movie star” loves to entertain and play. Alert and curious, they’re at the high end of the sociability scale and almost bursting with personality. Born performers, they do everything with flair and love to be the center of attention. They jump a little higher, run a little faster and play a little harder than other cats, and no matter what they’re doing they crave applause. The “movie star” is an entertaining and lovable companion. Hiding under the bed or hunkering down in the closet, the shy, aloof cat seems almost afraid of their own shadow. Often very sweet-natured, and fiercely independent, they sometimes seem like a mysterious stranger who lives in your home. A good match for kind, undemanding people who don’t need to have affection lavished upon them constantly, this basically non-sociable personality is often associated with cats who once were strays or caged in a pound. Others are simply born shy and never overcome their fear of loud noises, people and other pets. You can be this cat’s best friend if you provide a quiet, nurturing environment, and understand and accept their limitations. Acutely intelligent, with a takeover personality, the “leader of the pack” is no lap cat. These independent, alert and focused felines love their people, but are quite happy to sit at the other end of the sofa or across the room, glancing now and then to see what you’re up to. In a multi-cat household, they’re the head honcho, the first to eat or drink water. The “leader of the pack” investigates newcomers, people or other animals to make sure they’re up to their standards. On the higher end of the aloof scale, they don’t really like to be picked up. Best suited to people who don’t want a cuddly cat, the “leader of the pack” is nevertheless engaging with lots of admirable qualities. FIV was first discovered in 1986 when cats in a cattery started showing signs of immunodeficiency-like illnesses. FIV is found in cat populations worldwide. Feline infectious peritonitis (FIP) is a disease caused by a feline coronavirus (FCoV). Little is still known about this disease. FelV is one of the most common and important infectious disease of cats and is present in feline populations around the world. Feline calicivirus (FCV) is one of the two important viral causes of respiratory infection in cats. FCV can be isolated from about 50% of cats with upper respiratory infections. The number of cats diagnosed with chronic renal disease increased nine-fold between 1980 and 2000 and now afflicts over 2 million felines, with 49% of cats over the age of 15 suffering from the disease. Feline heartworm disease has been diagnosed in all 50 states. Wherever dogs are considered to be at risk for heartworms, cats are at risk as well. This is why it is so important for all cats to receive heartworm prevention. Feline hyperthyroidism is a result of excessive circulation of the active thyroid hormones thyroxine (T4) and triiodothyronine (T3). The cause of this increase in hormones in 95%-98% of cats is due to a benign tumor (adenoma) of the thyroid gland. Hyperthyroidism can present with a multitude of other problems due to the changes that increase thyroid levels cause. Feline Lower Urinary Tract Disease (FLUTD) refers to several conditions that can affect the cat’s urinary bladder and/or urethra. Feline panleukopenia virus (FPV), also known as Feline infectious enteritis, Feline parvoviral enteritis, feline ataxia, feline distemper or cat plague, is a viral infection affecting cats, both domesticated and wild feline species. FPV is caused by feline parvovirus, a close relative of both type 2 canine parvovirus and mink enteritis. Once contracted, it is highly contagious and can be fatal to the affected cat. Feline viral rhinotracheitis (FVR) is an upper respiratory or pulmonary infection of cats caused by feline herpesvirus 1. It is also commonly referred to as feline influenza, feline coryza and feline pneumonia. Viral respiratory diseases in cats can be serious, especially in catteries and kennels. Causing one‐half of the respiratory diseases in cats, FVR is the most important of these diseases and is found worldwide. Rabies is a viral disease that causes infection of the peripheral and central nervous systems. The virus is transmissible between many species including domesticated and wild mammals, along with humans. Diabetes mellitus refers to a condition in which the cat’s pancreatic cells do not secrete enough insulin or the cat’s cells lose their ability to respond to the action of insulin. Insulin acts to facilitate the movement of the glucose (sugar) from the cat’s blood stream into the cells. Obesity in cats has been linked to many health concerns such as diabetes, liver and heart disease to name a few. Fat cells have been shown to release pro‐inflammatory mediators into the blood stream predisposing cats to inflammation which can intensify many condisitokns such as inflammatory bowel disease and asthma – two very common cat diseases. Pesticides – rodenticides, insecticides, herbicides and moluscacides. With their keen sense of curiosity, as well as their dedication to cleanliness, cats can get into trouble if they make contact with a toxic substance. Some of the most common drugs are non‐steroidal anti‐inflammatory drugs (NSAIDs), which are some of the most deadly to cats. One tablet can be fatal to a cat. Due to their altered liver metabolism, cats have difficulty metabolizing certain drugs. Keep all medications and prescriptions in a secure location. With any accidental medication ingestion, seeking immediate veterinary care is imperative. The topical application to cats of flea control products marketed for dogs containing permethrins constitutes a major portion of feline toxicities. These incidents generally occur as either deliberate application of the product to a cat by an owner unaware of the dangers, or by the indirect exposure of cats to those products via such things as grooming of dogs on whom these products have been recently applied. Before bringing plants into your home you may want to consider going for the fake kind or make sure to research which flowers can be toxic to cats. Lilies can be the most deadly to cats. Ingestion can cause severe, acute kidney failure. Even ingesting two or three petals can result in potentially irreversible kidney failure. Keep in mind that there are many other plants that are toxic to cats. Research to find the complete list. A good resource is the ASPCA website. Exposure to insecticides can occur when a cat walks through an area recently treated with lawn and garden products. 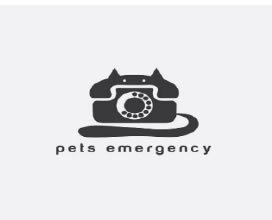 If you believe that your cat has come in to contact with an insecticide, chemical or pesticide contact your veterinarian immediately. Household cleaners such as toilet bowl cleaners, laundry detergents, drain cleaners and certain carpet and floor cleaners can be toxic to cats. Always keep these products out of your cat’s reach and wipe away any excess before allowing the cat back into the area. 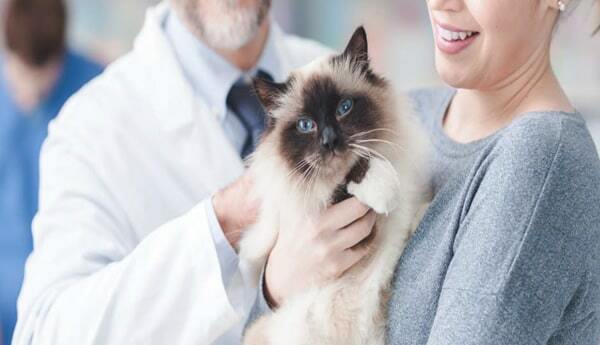 Contact a veterinarian immediately if you believe that your cat has been exposed. There are a number of less obvious poisons including glow sticks, liquid potpourri and antifreeze that can be toxic to your cat. Cats are often exposed to potpourri oils by rubbing against leaky bottles or pots containing the oil, or from spilling the oil containing pots themselves. Only a couple of licks or a small amount on the skin can be harmful. Antifreeze poisoning usually occurs when pets lick antifreeze drops or spills off the ground. For a cat, as little as a teaspoon can prove fatal. 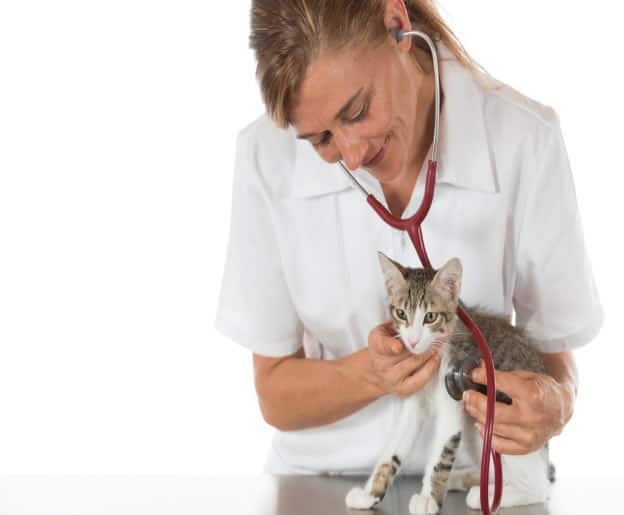 Be proactive about your cat’s health, including regular visits to the veterinarian. Upper respiratory infections (URI for short) are the most commonly encountered disease problem for cats in animal shelters. Some shelters have cases all the time. Others have epidemics so serious that they result in the suspension of feline adoptions. Even the most conscientiously run shelter will suffer form occasional outbreaks. These outbreaks should not be taken as an automatic sign that the shelter’s health care system has failed. 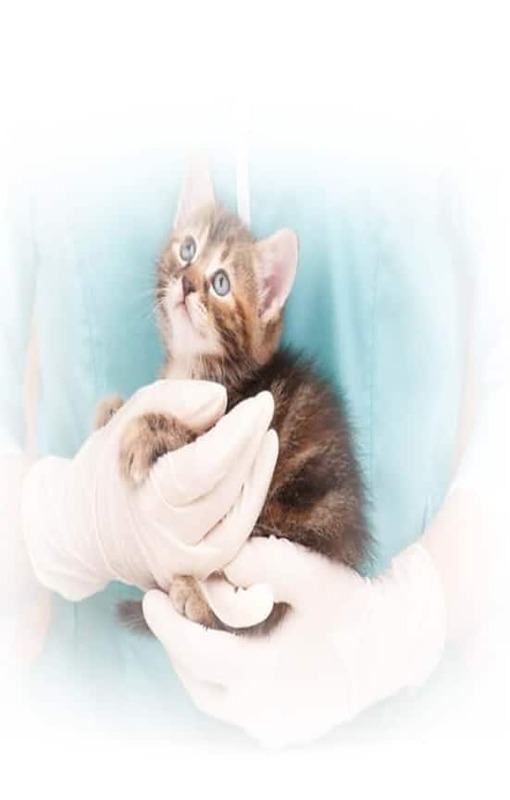 A careful evaluation of the health care program and sanitation program should be undertaken to determine what corrective measures are needed to minimize the impact of the disease on the shelter’s feline population. One of the most important contributory factors to the disease outbreaks is crowding, which leads to stress that lowers resistance. Increased and prolonged close contact between diseased and susceptible animals creates a greater probability that the disease will be transmitted from one cat to the next. These diseases have an incubation period of 2 to 14 days. This refers to the time between exposure and the appearance of the disease. The pathogens are shed in various body fluids such as from eye, nasal and oral secretions and discharges. By contact with carrier cats. Carrier cats continue to harbor and shed the virus after they have been infected, but show no clinical signs of the disease. Airborne transmission of the virus is no longer thought to be the primary means of spreading the infection. In fact, fomite transmission (see side bar) of disease is now believed to be the most significant method of any disease through a shelter. Disease is spread when susceptible animals have contact with contaminated objects, so isolation of sick animals alone is not a sufficient control mechanism. Fomite transmission refers to the transmission of infectious diseases by objects. Fomite transmission occurs when viruses or bacteria that remain on surfaces cause infections, as opposed to diseases being transmitted from cat to cat, in the air, in infected water, or in another manner. It is critical to develop and implement a consistent and effective protocol to control any disease outbreak. New recommendations suggest leaving the cats in their enclosures for the duration of their stay and spot clean their cages, disinfecting only when a new animal is placed in the cage. Or assign an adjoining cage, so the cats can be moved to the other cage for cleaning. The problem is, some shelters are so over-populated with cats and kittens, there is no where to move the cats. 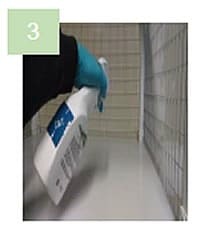 Some organizations recommend a two‐step protocol for cleaning cages (clean with soap and water, then disinfect), we feel that the additional step in the process will increase the stress level of the cat. Please find our recommended cleaning protocol on page 8. Some cleaning recommendations call for the use of household bleach, peroxide based products that require a higher chemical concentration to be effective and other cleaners that can actually acerbate the problem by increasing the URI symptoms and require an additional product and step to implement the protocol. Cage placement and ventilation have a lot to do with the spread of disease. A cat’s sneeze can travel about 3 to 4 feet, so cat cages that face each other should be kept at least 4 feet apart. Good cross‐ventilation, preferably with outside air, will go a long way in reducing the incidence and severity of feline URI in shelters and other heavily populated catteries. 1). Recognize the signs of the illness when examining the animals on intake. 2. Isolate sick animals immediately. 3. Consult with your veterinarian on the proper course of action for administering vaccines. 4. Segregate kittens by litter and age groups. Kittens under 3 months of age are most susceptible to disease and should be separated from other litters and from adult animals. The kittens can also be placed in foster care until the outbreak is under control. 5. Thoroughly clean and sanitize food and water dishes daily and between usages by different animals. Use alcohol or quaternary based hand sanitizer. Washing hands is still the most effective method of hand hygiene. Wear protective gloves. 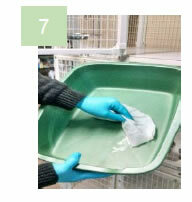 Discard and replace gloves after handling each sick animal. Use disposable litter pans, cleaning cloths, food dishes, etc..
Launder uniforms or cloths in hot water, detergent and bleach. Select cleaners and disinfectants that do not acerbate the conditions of URI, such as chlorine and peroxide based chemicals. Select disinfectants that have E.P.A. Registered feline infectious agent kill claims including Feline Calicivirus and Feline Panleukopenia. c) Minimize the migration of chemical mists and vapors by utilizing coarse sprayers and wet wipes. 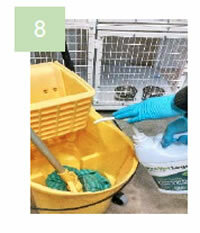 Use color coded cleaning tools for specific areas of the facility (in take, adoption, isolation, etc.). Use cleaning tools made of synthetic materials. Tools made with wood and other natural materials will absorb moisture and harbor bacteria. Place sound reducing barriers between dogs and cats. Provide toys, climbing perches and hiding places with multiple exits. Cats can become stressed if they feel trapped. Establish scheduled routines for cleaning and other daily operational procedures. Maintain good air movement and ventilation. Monitor and adjust temperature as needed. Provide access to natural light. 1. Selecting an effective cleaner disinfectant: Not all cleaner disinfectants have been tested and/or proven effective against feline specific infectious agents. The product must be E.P.A. Registered and list the approved infectious agent kill claims on the label or provide direction as to where to find the complete list of claims. 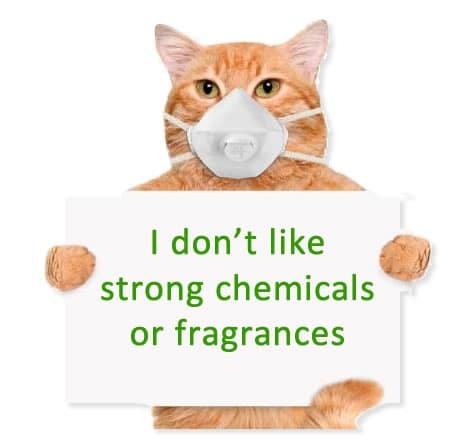 Certain ingredients can cause upper respiratory infections in cats and kittens and should be avoided including peroxide, chlorine, acids and other cleaners with extremely high or low pH values. 2. Fragrance: What smells good to you and me, may in fact be very offensive to a cat’s olfactory sense or ability to smell. Select a cleaner with a mild fragrance that dissipates quickly. 3. Selecting the right sprayer setting: Most spray nozzles have three settings, Off – Mist – Coarse (or stream). 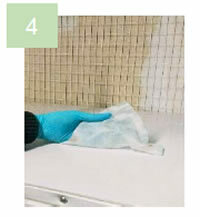 Select the coarse setting when applying the cleaning solution. Applying the cleaning solution using the mist setting will allow the chemical mist to migrate from one area of the room to another. 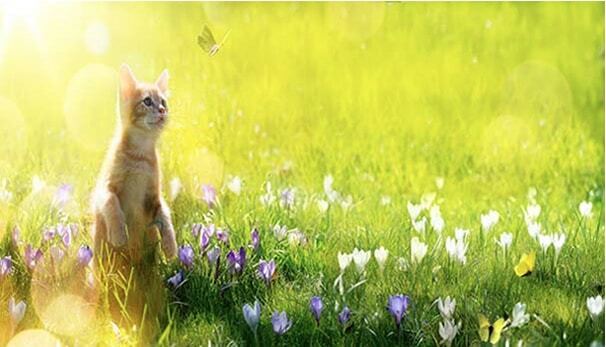 Even the slightest chemical mist can cause upper respiratory distress in cats and kittens. 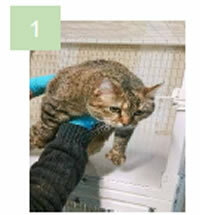 Remove cat(s) from the cage and place in adjacent cage or kennel. Remove dishes, toys, bedding and litter box. 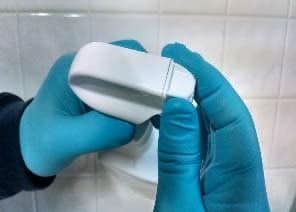 Apply the solution by holding the spray bottle 6 to 8 inches above the surface. 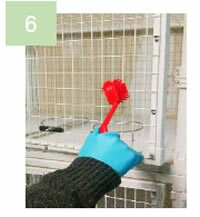 Spray the surface, including cage doors, handle and all other touch points. Starting from the back of the cage and working towards the front, wipe the surface in one motion. Wipe down all touch points including cage handles, cage wire, dish holders, etc..
For heavily soiled surfaces, hard to reach areas and wheels wipe with a moist towel and agitate with a synthetic brush. Use a second wipe to remove any remaining residue. Discard used litter and clean box with a fresh towel wipe. Allow the surfaces to air dry before returning the cat to the cage. 1. In a mop bucket, mix concentrate with water per directions listed on the container label. 2. Using a clean mop head, start from the back of the room and work the cleaning process to the exit door. 3. Allow the floor to air dry. 4. Thoroughly rinse the mop head and hang to air dry. Always wear protective gloves when using cleaning chemicals. Always wear protective goggles when applying cleaning solutions above eye level. Use Wet Floor Caution Signs to avoid dangerous slip and falls. Wash hands thoroughly after completing the cleaning process. Cats are naturally curious and special care should be taken to keep them away from potentially harmful chemicals, medicines and plants. Although the most logical point for poisons to enter a cat’s body is through their mouth, poison’s entering through the pads of their feet can prove even more deadly. Bleach, ammonia and other household cleaners that remain wet on a surface during cleaning can absorb into the foot pads and quickly enter the animals blood stream. Due to their size and sensitive internal organs, cats are especially prone to serious illness and possibly death from chemical exposure. First, call your veterinarian or the National Animal Poison Control Center 1-800-426-4435 for information about the specific poison involved. If you know what the poison was, take the vomit, poison or the container the poison was in to the veterinarian with you. Call your veterinarian immediately and do not induce vomiting unless told to do so. Get your pet into fresh air immediately and contact your veterinarian.